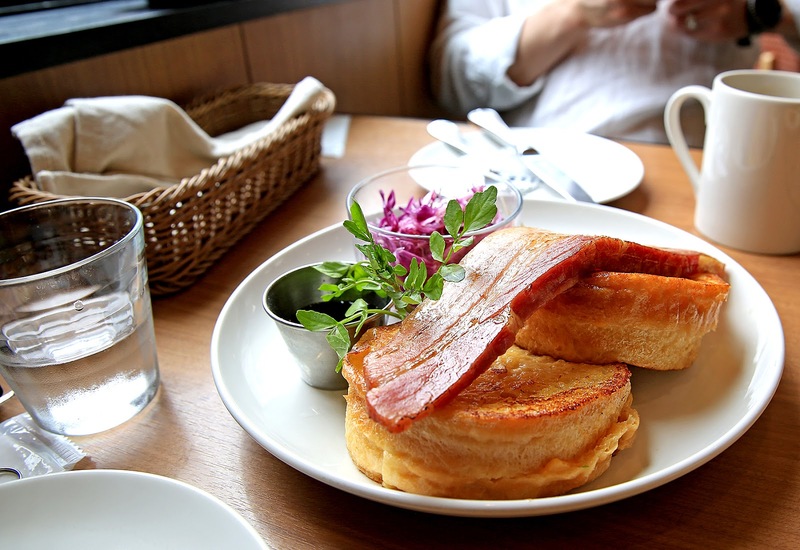 One of the first few searches I did for our Japan itinerary were brunch cafes and coffee shops. 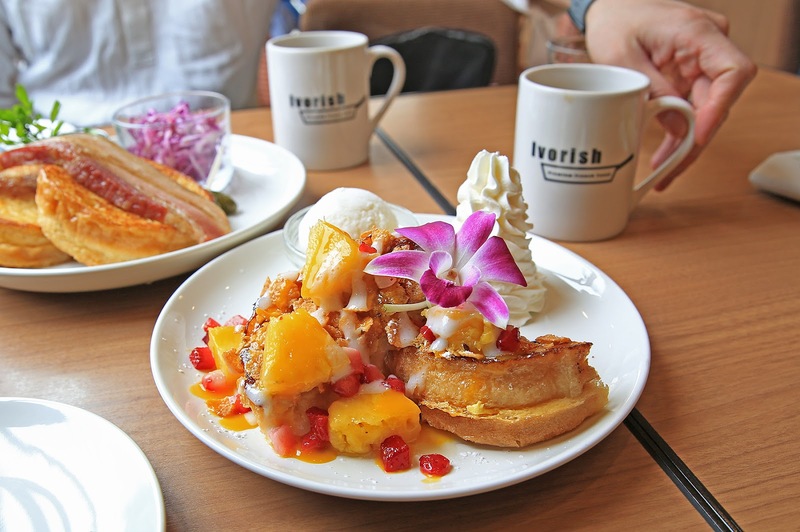 Ivorish seems to be a notable player that's originated from Fukuoka and so we found ourselves in line for an hour because reservations are only allowed after 6pm. 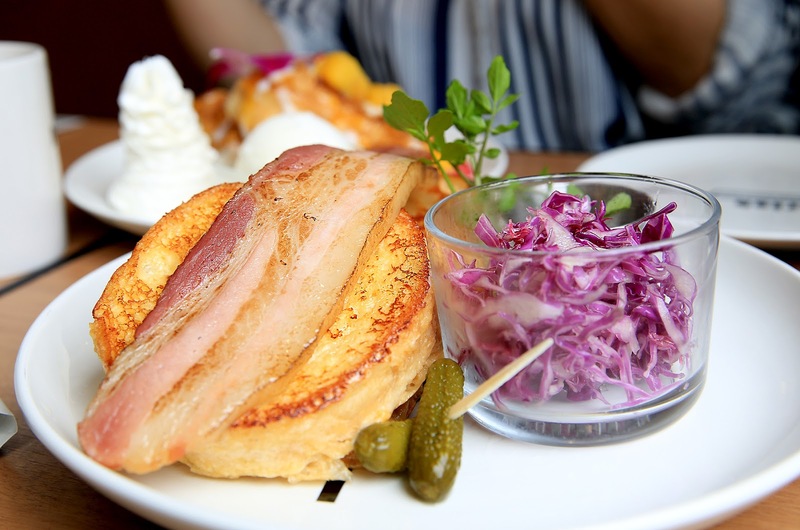 Their menu offering is straight forward- savory and sweet french toast based meals that changes slightly with the season. 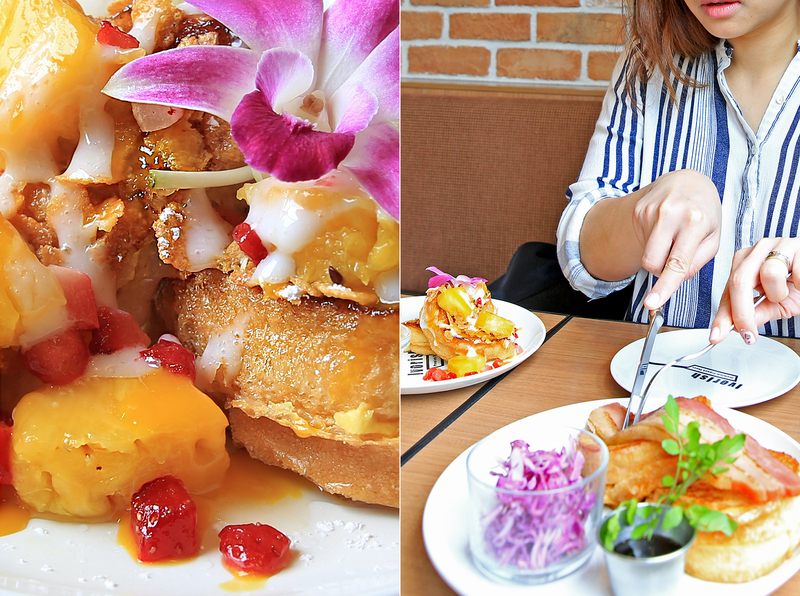 We tried their popular savory bacon tuna cheddar cheese with maple syrup french toast and their new summer menu called "Exotic" which is a cornflakes crusted french toast with pineapple, strawberries and coconut sauce. The toast were thick and fluffy! It was divine! 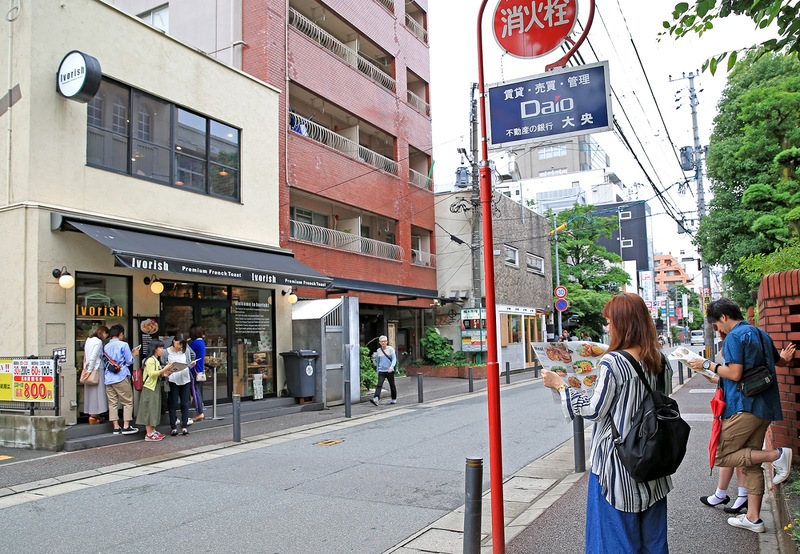 But if I ever do go back to Fukuoka, I'll be sure to make a reservation even though I'll have to eat them for dinner instead of brunch because the waiting sure is scary! **You'll notice two waiting lines- the line opposite the cafe (that looks like a bus stop) is where the line starts.